Practicing in this area, there is no reason why you couldn’t have it all. This affluent Los Angeles suburb allows for both a booming business and excellent social life. 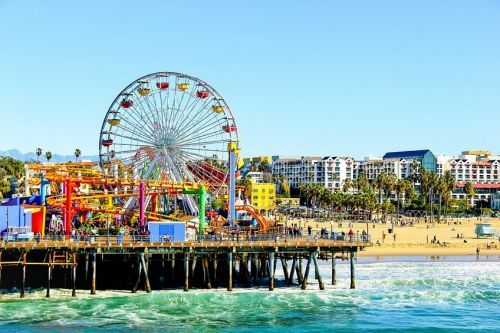 Not only is it a family­ friendly area but it is also directly in the center of where people come to vacation ­ famous Santa Monica or Malibu Beaches, dining and nightlife of downtown and Hollywood, hiking in the mountains, or amusement parks and venues! Step into a happy, thriving practice with amazing staff that consistently grosses approximately $700,000 annually even with the owner working part­-time the past 2 years. Plus with a unique relationship with the largest gym in the area, there is a LOT of opportunity for further growth and profit. Our techniques are as varied as our patients and include Webster technique, pediatric chiropractic, sports rehab, diversified technique, drop technique, and instrument adjusting. We are the only chiropractic practice in the area with one-on-­one yoga lessons with a certified instructor and also employ massage therapists and have an in­-house Acupuncturist. If you are edgy, determined and no­-nonsense, then step right into this thriving practice. This is what you have been looking for. Check it out here at http://www.strategicdc.com/18701 or info@strategicdc.com.